Earning money from online music mixing services can be very challenging. So many of us are advertising such services all over the internet which makes it an extremely competitive market place in which to be discovered. Being able to stand out from the crowd is paramount to targeting potential paying clients. 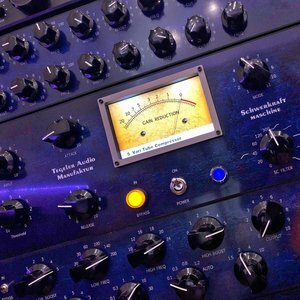 This article lists 4 things that can help talented mixers find paying clients and earn money from mixing music online. Working with paying clients is very rewording, however it does come with a fair share of difficult moments. If you have never worked with a client then I strongly recommend that you get some hours under your belt working face to face with people in a recording studio environment so that you can develop some client facing and time management skills. It is important as a music mixer in discovering your niche from which to develop your USP (unique selling point). These days we all feel as though we can achieve anything, which at some point leads us all to believe we can offer a variety of services. Don’t get me wrong, it’s great to have lots of strings to your bow but in reality advertising the fact that you can mix anything is not always the best form of marketing within this industry. Being a one stop shop can divert potential clients away from your core specialities. Specialising in mixing one or two genres will enable you to hone your skills which in turn will provide you with the edge amongst your peers and competition. A showreel is a bite sized promotional clip that showcases your work and abilities. It is very important to update your showreels on a regular basis so that your very best work can be demonstrated quickly. I’ve found it useful to have a handful of showreels for different genres and styles of work I do. I find the most effective showreels are the ones less than 3 minutes in length and have also been clearly thought out. Never underestimate the power of a good showreel as these are often the first port of call for potential clients looking to hire you. If they like your work then you have a higher chance of winning their business. Sharing your skills & knowledge is a great way of demonstrating your personality, professionalism, taste and expertise. Stating that you ‘mix music’ is not enough these days to prove your abilities within your trade. A great starting point is to offer written song critiques for enquiring clients. These work well for me and also double as a project pitch / business proposal. Getting a client to trust your professional opinions will likely return you with their future business. I find the clients I value the most are the ones that fully know my creative tastes, workflows and abilities as they are hiring me for exactly those properties to be incorporated into their material.